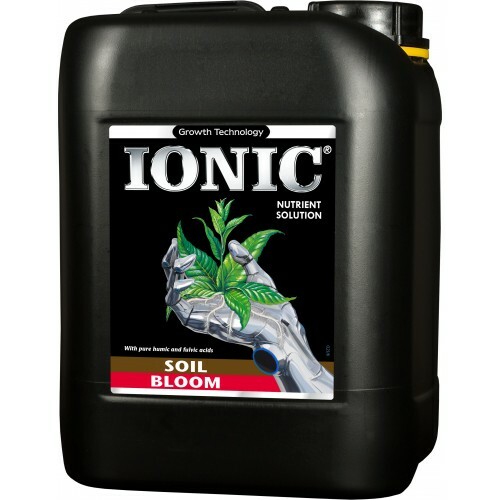 Ionic Soil Bloom is the most powerful fruiting and blooming phase nutrient made specifically for plants grown in soil medium. 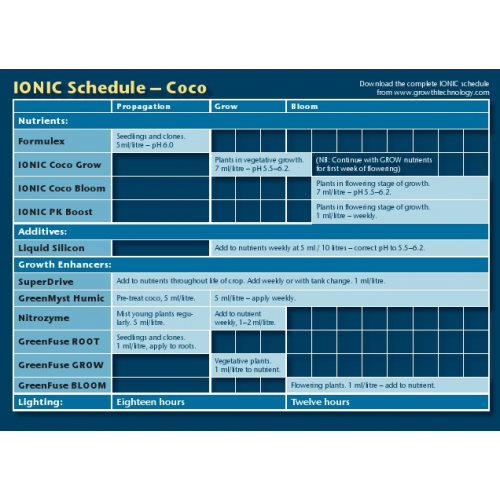 Ionic Soil Bloom is an all-in-one single part nutrient for plants scientifically tested and proven to improve overall weight and potency of plants with increased quantities and robustness when used during the high production phases of fruiting and flowering. Ionic Soil Bloom works best when combined with Ionic PK Boost for larger more full blooms and fruits. The nutrients are 100% pure and provide the correct ratio of much needed nutrients and minerals that is balanced and creates the best overall quality and health for crop yields. There are no chemicals or harmful by-products in Ionic Soil Bloom only the purest mineral salts to provide the best nutrients to your plants during the fruiting and bloom phase. If you want the best crop yields and more potent, aromatic and robust crops then using Ionic Soil Blooms easy to use solution, you will gain the optimal nutritional value of other leading brands.